Portable non-contact, infrared temperature measuring thermometer features adjustable emissivity. This control provides the widest possible range for accurately measuring different surface temperatures. Unique gun design allows one-handed use. 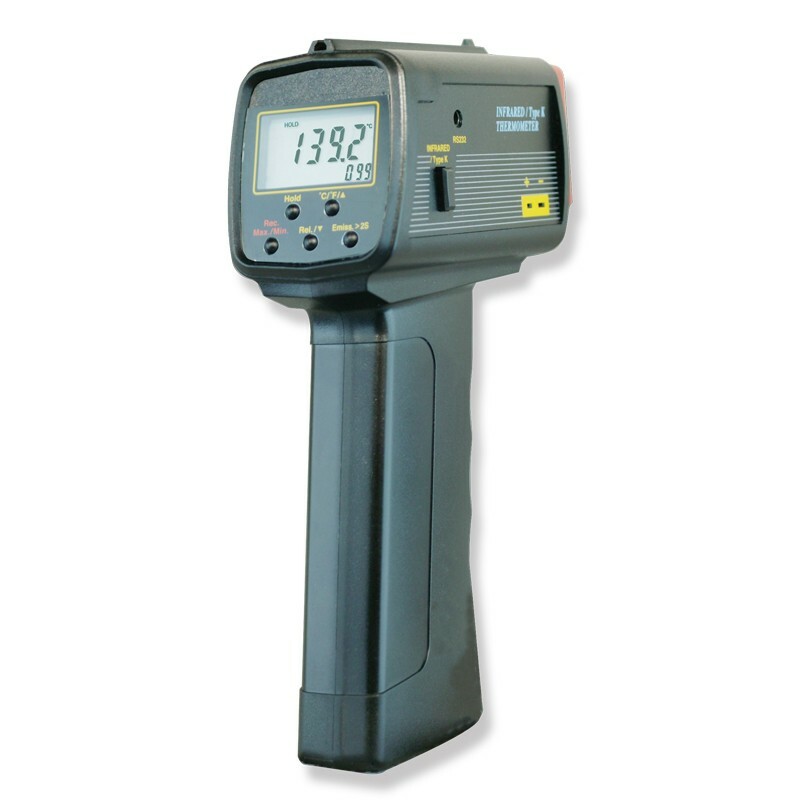 Includes Traceable® Certificate, Type-K beaded probe, carrying case, and 9-volt battery.